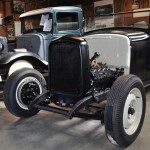 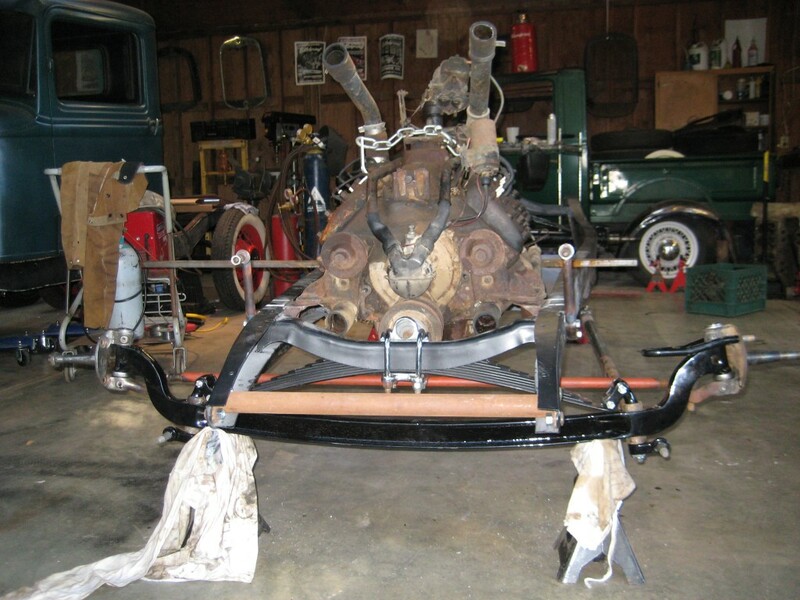 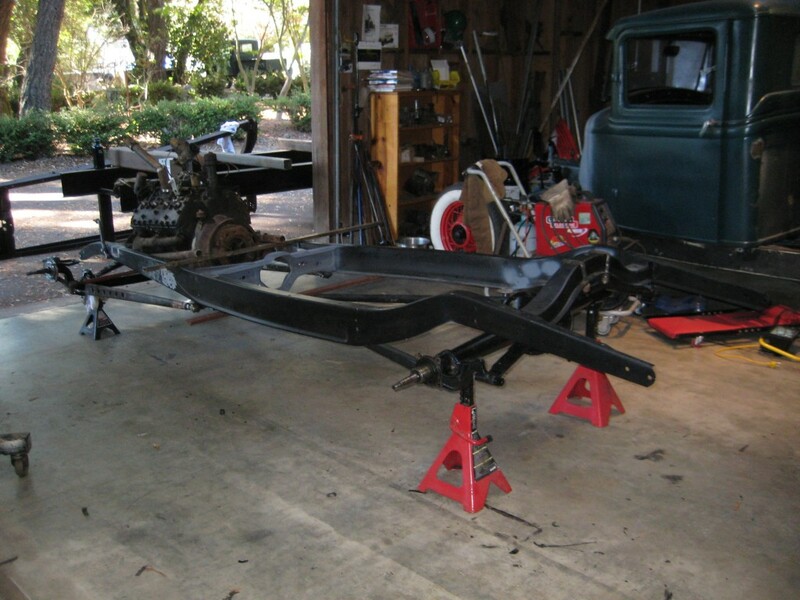 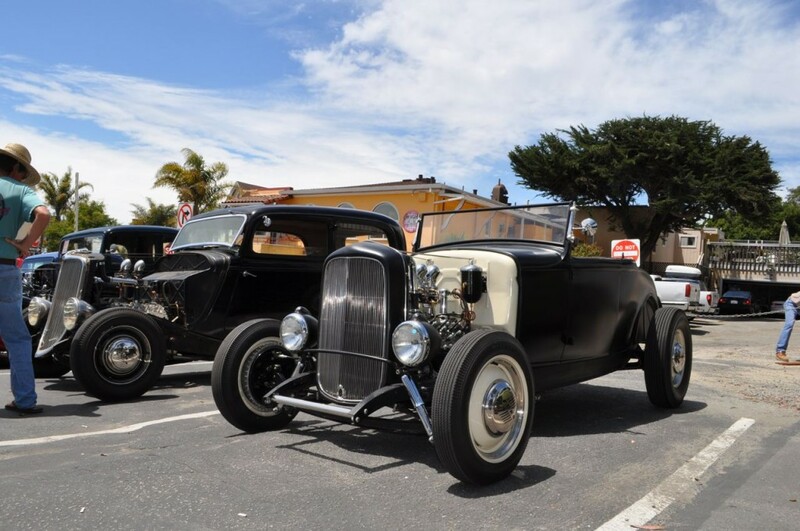 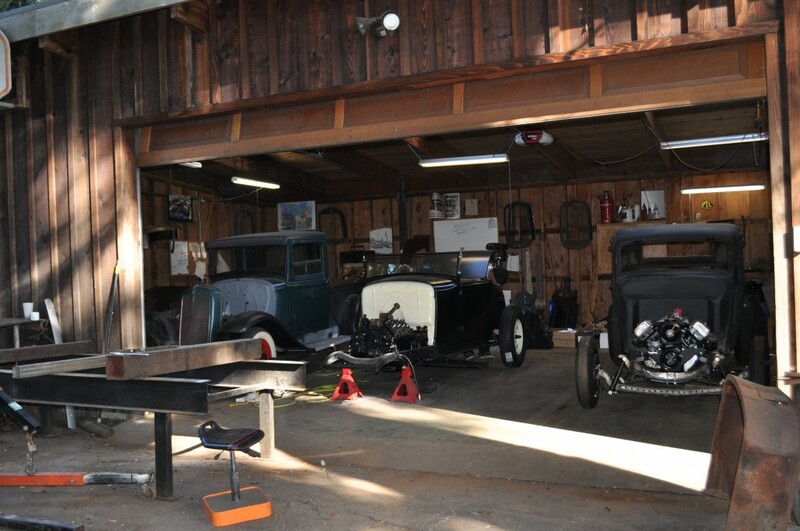 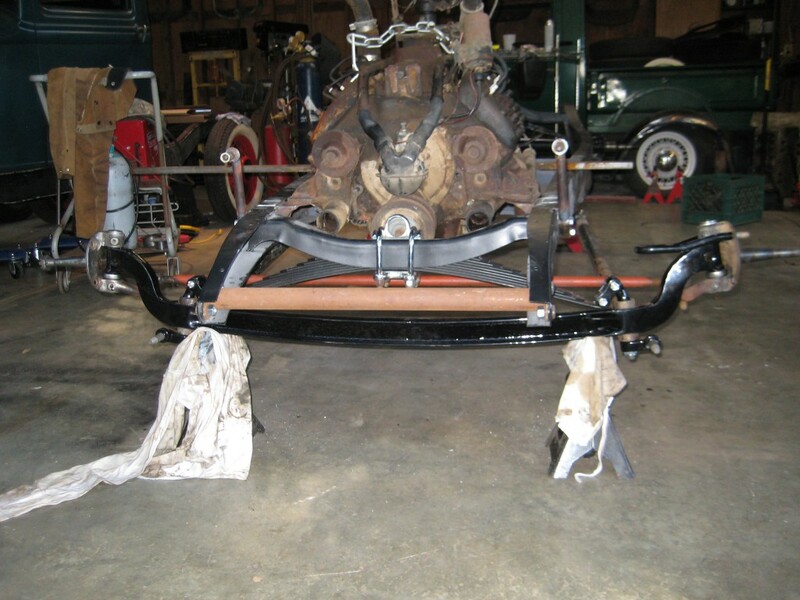 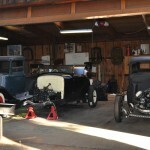 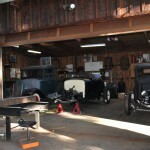 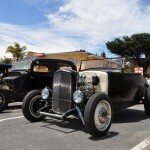 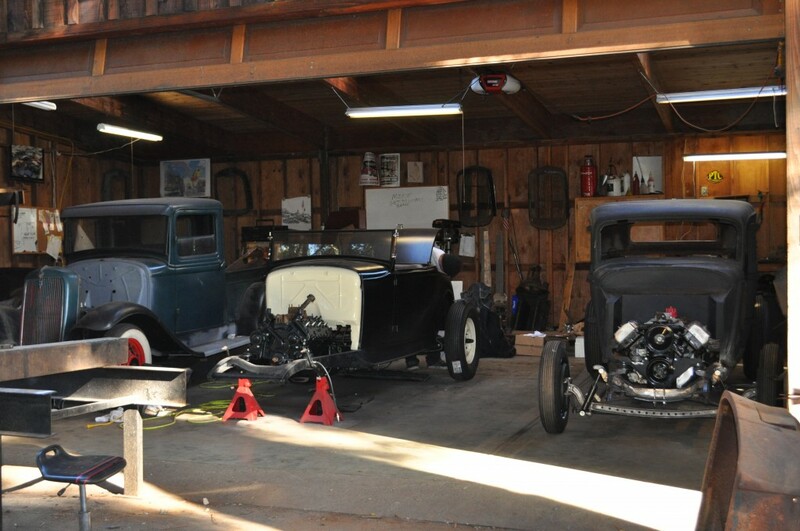 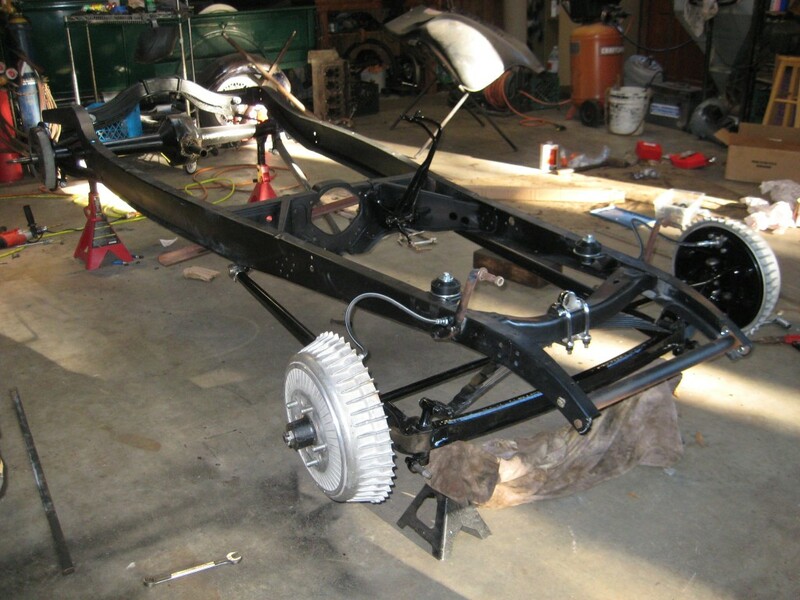 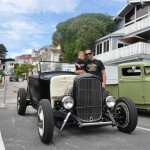 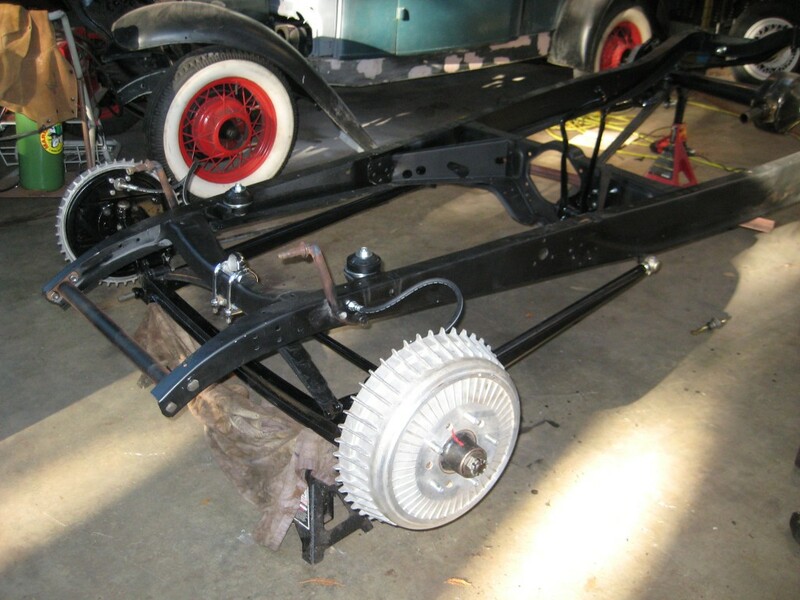 We started with a set of original ’32 Ford frame rails with model A front and rear cross members and a ’32 K-Member. 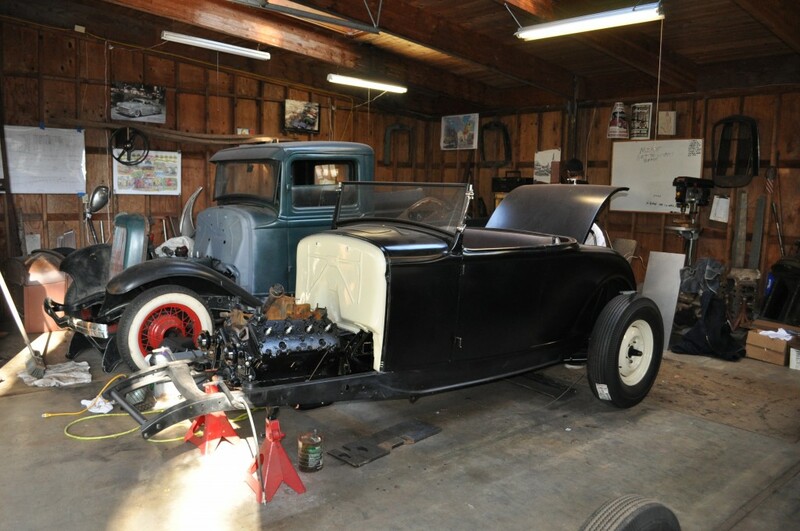 We rebuilt and added ’32 pedals and installed a ’36 rear end and hydraulic brakes. 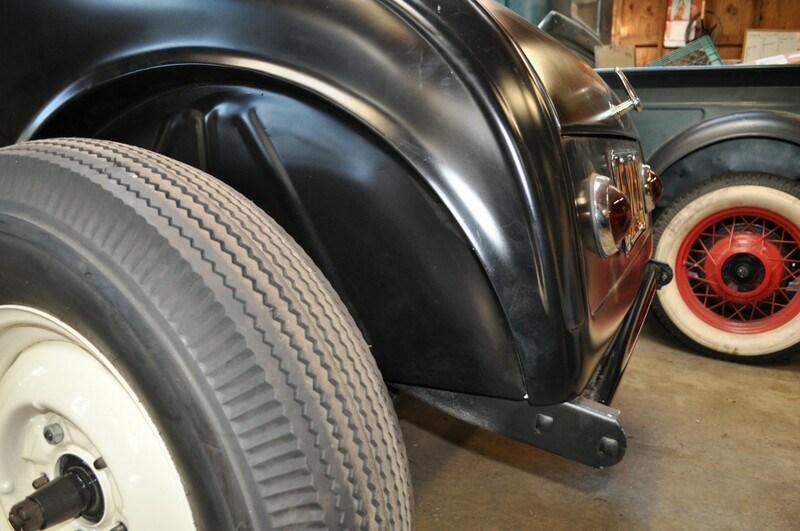 For the front end, we filled the ends of the ’32 dropped axle to give it a traditional polished look. 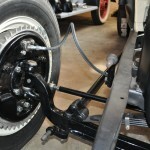 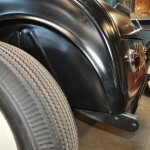 We also installed early Buick finned drums with a set of ’34 split front wishbones. 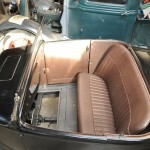 ’39 brakes and spindles were used all the way around. 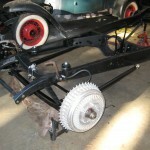 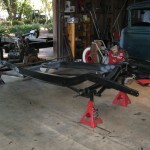 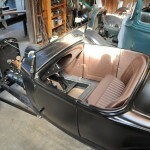 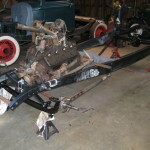 After we finished with the front end, we were ready for the ’50 Mercury flat head coupled with a ’39 Ford transmission. 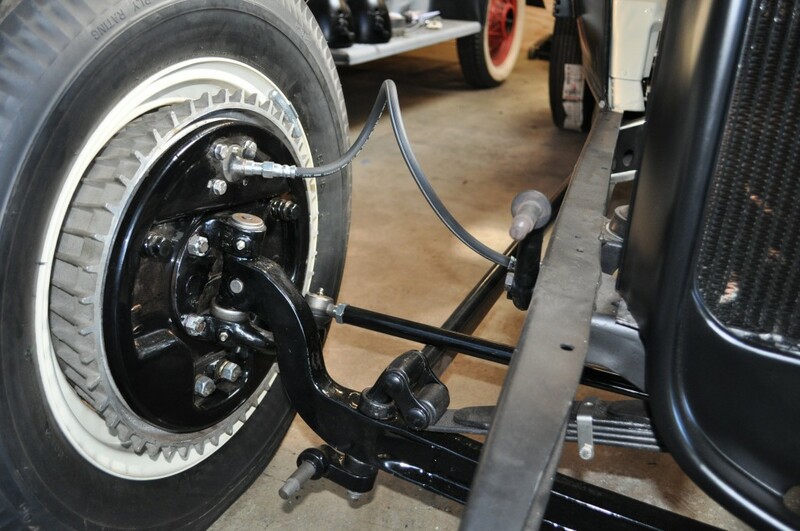 Moving to the back, we used a ’36 rear end with shortened wishbones to fit into the ’32 wheel base. 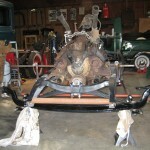 We were then ready for the body. 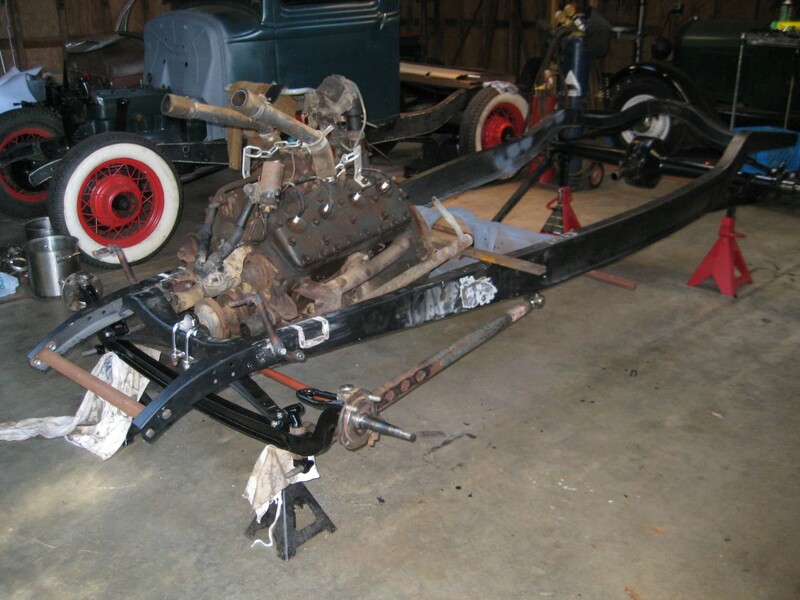 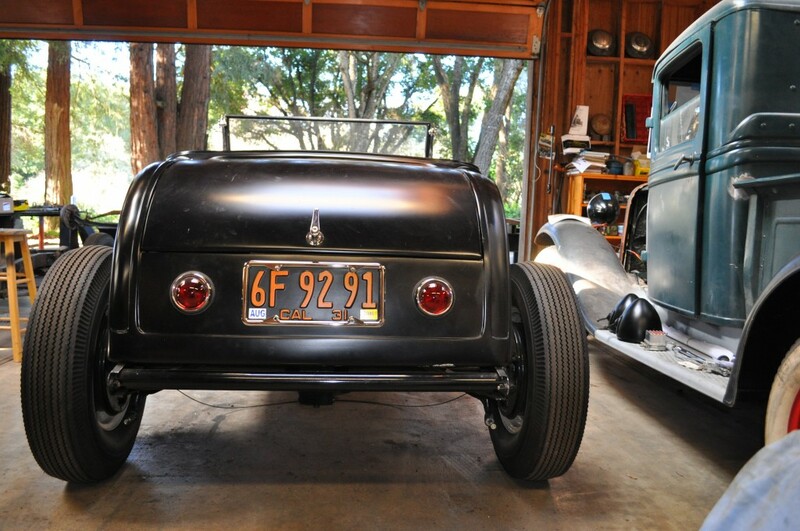 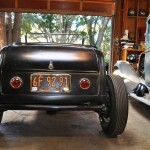 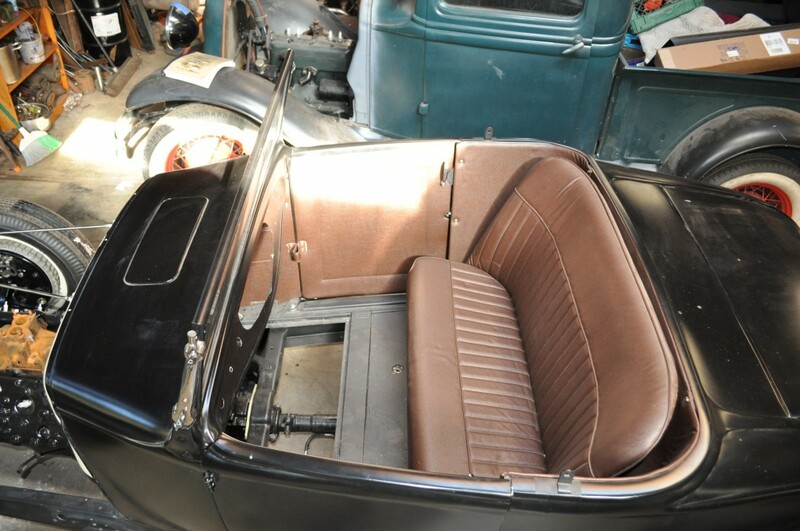 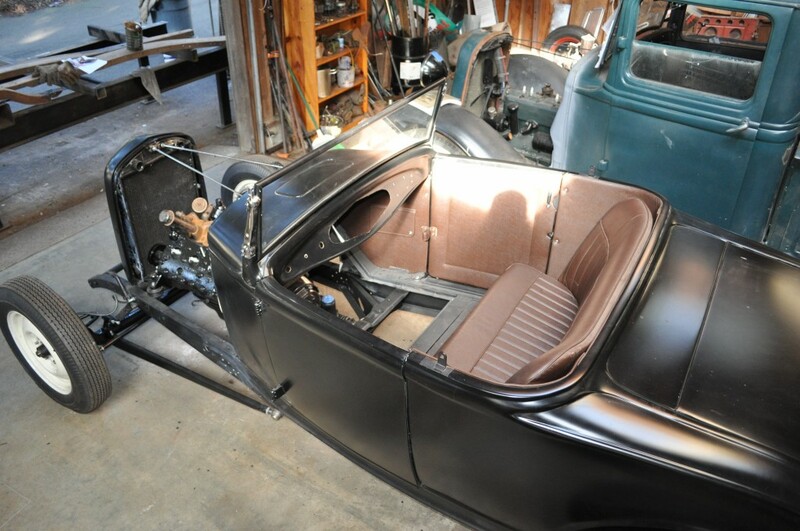 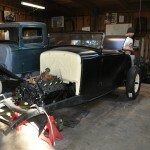 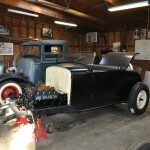 With the chassis work done came the placement of the pristine original ’31 roadster body. 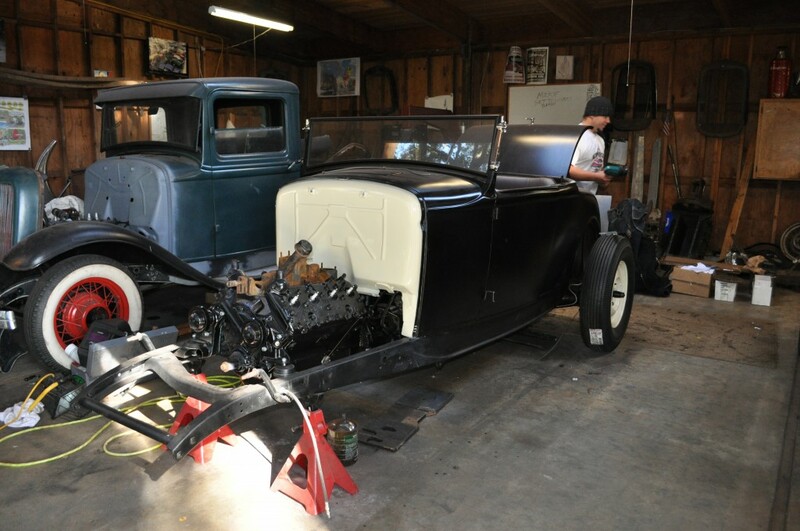 We placed the body on the ’32 frame and reworked the lower portion of the firewall to allow the body to sit flush to the frame rails. 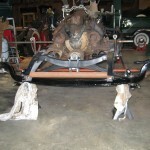 In the rear, we shortened the rear frame horns to put the rear spreader bar underneath the rear of the body. 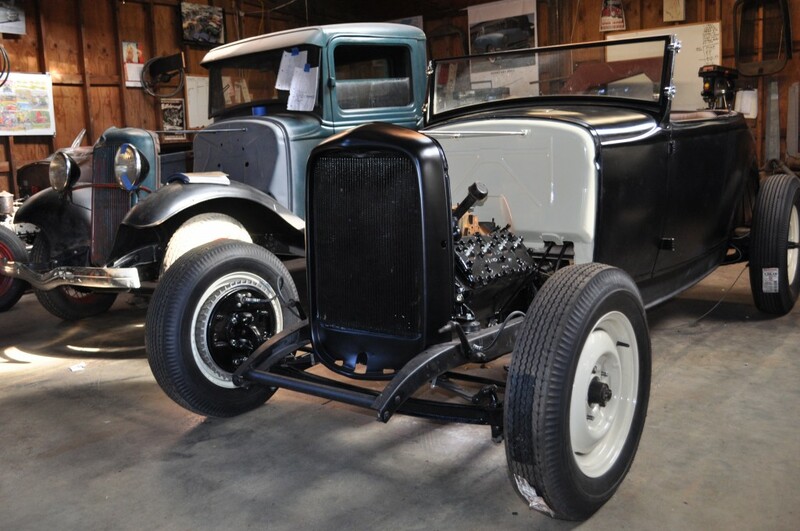 We will be using an original ’32 grill shell with a single piece hood top only. 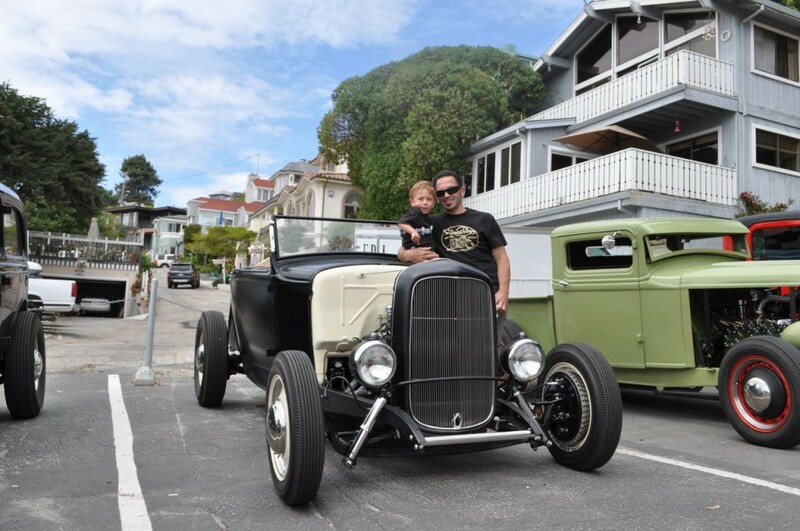 The car looks amazing! 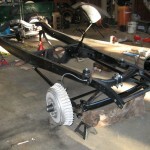 can’t wait to see one of those up and close sometime!